Wondering why UP has increased stamp duty from 9th april when government announced that it will be coming out with uniform stamp duty across the country in last budget? And this is not a small increase. From .002%, it has been increased straight to .05%. That means 25 times increase. 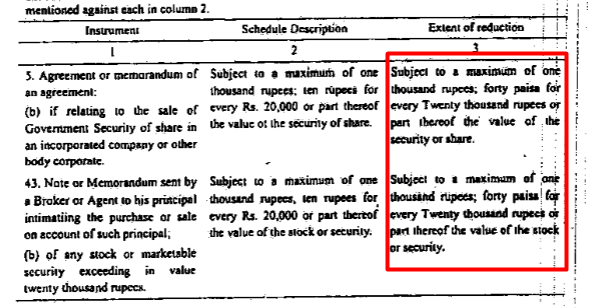 Intraday buying and selling of one lot of Nifty future will mean paying stamp duty of 900 Rs. How can trades service with this kind of additional duties. @nithin Hope zerodha (Along with the industry) is discussing this with appropriate authority. Here is the link to the exchange circular and the letter from UP IG of stamps to NSE. They have increased it from 0.002% to 0.05% (25 fold increase), but there is an upper cap of Rs 1000 per contract note . This change has happened post UP Stamp appointing BOI (Bank of India) to collect stamp duty on their behalf. Looks like someone who doesn’t understand how stock market transactions works, changed the rate to much higher. The industry body ANMI has already reached out to UP Stamp duty authorities and requested to the earlier 0.002%. Hopefully, this will be reverted back to 0.002% soon. Even though Govt put out that ordinance that there will be uniform stamp duty across all states in Feb, I don’t think anything will happen on that until the elections. Also the central Govt will need to get all the states to come together and agree on a rate. Rs 10 for every Rs 20000 works out to 0.05%. This isn’t some book, it is the UP stamp act. Like I said, someone implemented without consulting. Hopefully will get reverted soon. did it effects that much for option writers of otm contracts where turnover is less as compared to futures? 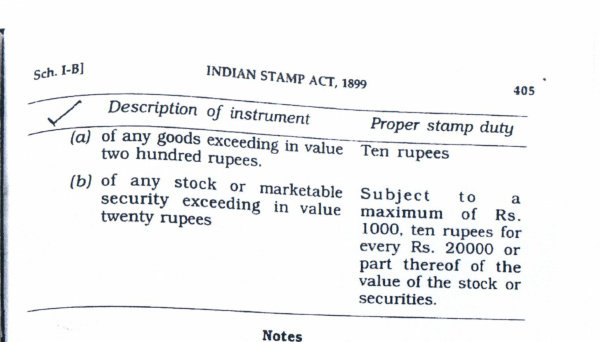 The stamp department is now enforcing the act quite forcefully across all segments like real estate etc. Earlier we could get a rent agreement made on Rs. 100 stamp paper. Now they have started asking for 2% of the total payable rent for 11 months. I doubt it will be reversed. How can anyone increase it to 25 times. The concerned person must be on weed to bring about such a drastic increase. This move will kill all retail traders. Already killed by this huge spike… no idea in-case stamp duty is reversed then how old losses due to high stamp duty will be adjusted. I will wait for a week if it isn’t revoked . I will procure a rent agreement perhaps in Delhi with some one . Don’t know how long it will take to be updated in adhar card then will forward for address update to zerodha. you been charged stamp duty acc to 0.05% ? Although it isn’t reflecting in today’s contract note. Hope tommorow brings better news.